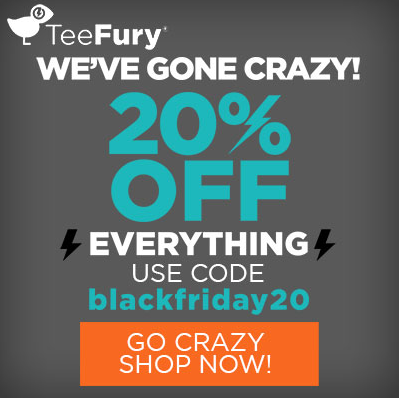 TeeFury: BLACK FRIDAY SALE - Blog @ That Awesome Shirt! We have a lot of BIG things happening on Black Friday! Are you ready? 20% OFF EVERYTHING! Everything? EVERYTHING! Daily Shirts, Gallery Shirts, Posters, Holiday Sweatshirts, even SHOES!